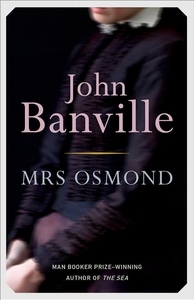 In Mrs. Osmond, John Banville continues the story of Isabel Archer, the young protagonist of Henry James's beloved The Portrait of a Lady. Eager but naïve, in James's novel Isabel comes into a large, unforeseen inheritance and marries the charming, penniless, and--as Isabel finds out too late--cruel and deceitful Gilbert Osmond. Here Banville imagines Isabel's second chapter telling the story of a woman reawakened by grief and the knowledge that she has been grievously wronged, and determined to resume her quest for freedom and independence. A masterly novel of betrayal, corruption, and moral ambiguity, Mrs. Osmond would have thrilled James himself.